I am the biggest Neil Gaiman fangirl in this or any other world, so the news of his tour made me fly into a heart-pounding panic. You see, this is Neil Gaiman's last tour ever. I don't blame him, he's probably signed tens of thousands of books now and god knows I want him to be able to have the time to relax, enjoy life, and write. I imagine he'll still do event, here and there. He seems to genuinely enjoy them. It's just the slog of book tours, weeks spent in hotel rooms, that he wants to get away from. Who can blame him? With that said, the tour dates went up yesterday and my world imploded. I started texting my sister, who lives in a nearby city, and soon I had plans. Sooner still, I had a ticket to an event. 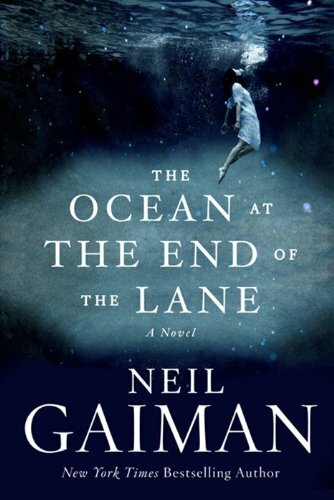 It came with a copy of Neil's latest book, The Ocean At the End of the Lane, which he will then SIGN. That thump you just heard was me faining out of sheer, overwhelming joy and excitement. When I got the email confirmation, I actually stood up in my office at work and did a victory dance. I don't care if I'm sleeping on my sister's floor and taking off two days from work, this is HAPPENING. I implore you, if you can, go see Neil Gaiman if he comes close to where you are. It's worth it. I've had the pleasure of seeing him speak before and it's an experience that is nothing short of magical. See Neil's lastest blog post for tour information and act fast, tickets are going FAST. I've got mine! I am so excited for this! I'm planning to attend the Atlanta event. I'm driving 5 hours for this! I HAVE to go!